Simon Baron Development has announced plans for a seven-story office building at 12 Franklin Street on the Greenpoint/North Williamsburg border. 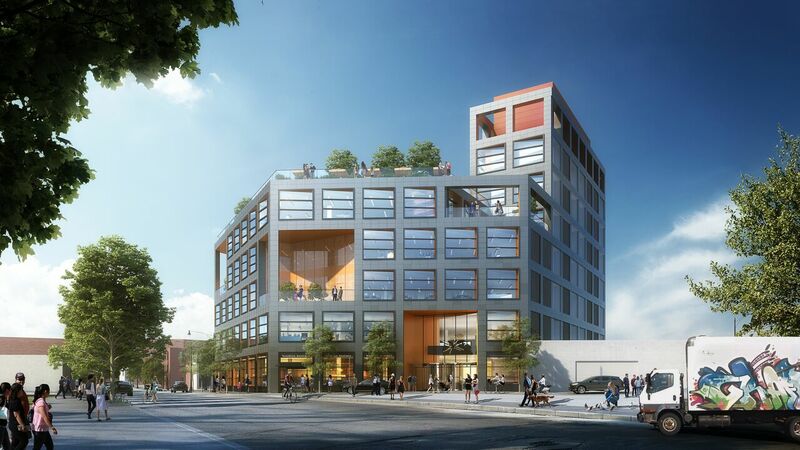 The project, designed by FXCollaborative, will rise in an area bristling with residential development, dining and entertainment choices but with a shortage, according to the developer, of Class A office space geared toward small businesses. The building’s 134,000 square feet of office, retail and rooftop amenity space will include 23,000 square feet of manufacturing space–the building’s design was intended to reinforce the industrial character of the neighborhood. The project is scheduled for public review today. The site is a five-minute walk from the Nassau Avenue G train station and a ten-minute walk from the North Williamburg and Greenpoint NYC Ferry stations; Simon Baron has requested a waiver in order to reduce the number of parking spaces in the project because the building was designed to encourage public transportation. The building, which is expected to open in 2021, will also add to the creation of a pedestrian and retail corridor across from the planned Bushwick Inlet Park. 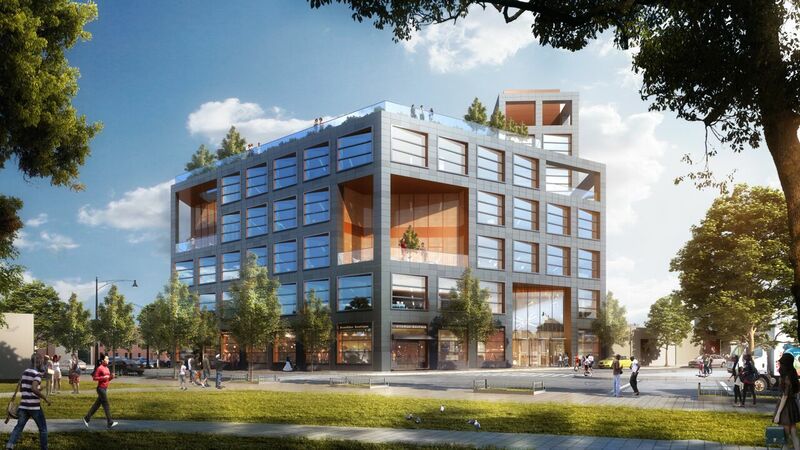 Office space will include windows on four sides, 15-foot floor-to-floor heights, two lobbies, outdoor terrace space for tenants on every floor, a shared conference room, bike valet and storage for 85 bikes and underground parking for 36 vehicles. The site is currently occupied by a two-story commercial building and two bars. The developer hopes to obtain a rezoning that allows for a significantly bigger commercial building than would be permitted under the current site’s low-density industrial zoning regulations. To that end, as was the case with Heritage Equities and Rubenstein Partners’ 25 Kent project nearby, Simon Baron will have to set aside a portion of the building for light industrial uses, as the Observer points out. The City Planning Commission is expected to certify the rezoning; the project will then begin the seven-month Uniform Land Use Review Process.